One of the most rewarding activities in Jamaica may not be what you expect. It doesn't fit into the sun, sea, sand or adventure formula. I know it may sound a bit tame, but trust me on this. A visit to one of our spectacular flower or agricultural shows is a winner. These shows often prove to be unforgettable, satisfying experiences, and not just for the nature lover. Photographers find these shows to be a goldmine of subject matter. Anyone interested in Jamaican culture will be able to experience firsthand how Jamaicans interact with each other, see Jamaican families at play, get a taste of real Jamaican food and hear good Jamaican music. You'll witness our ability to bargain down even the lowest prices. You may even see for yourself that a "Do not Touch" sign compels us to explore a forbidden object even more! 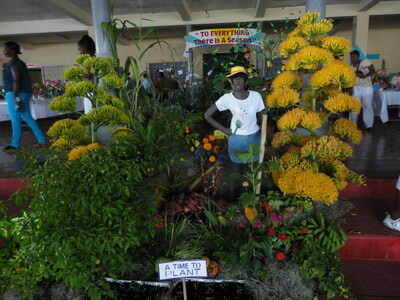 The St. Elizabeth Horticultural Show in Black River is one of the biggest and best flower shows on the island. Held on Easter Monday every year from 1963, this show draws crowds of people from all walks of life to the warmth of St. Elizabeth. 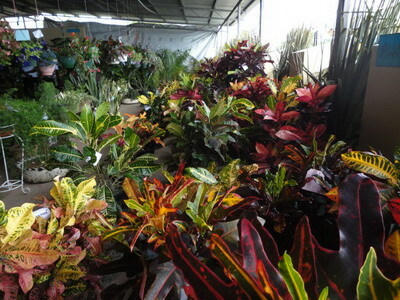 It is mounted by a small army of horticultural enthusiasts and volunteers. Usually the show comes at the end of a drought, but still manages to stun patrons with its colour and variety. The Flower Show (as it is affectionately called by us locals) has a different theme each year. This is captured in the main display in the show hall. 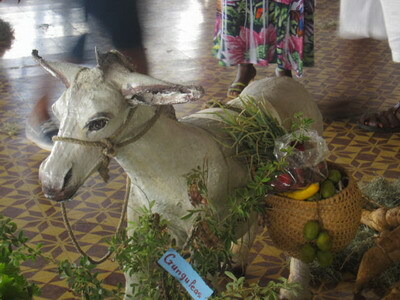 The show also showcases the many fruits, vegetables and herbs produced in St. Elizabeth. The creations by local artist Mike Wallace, who collaborates in bringing the show's theme to life, are always a big hit with the crowds. Every year at the Flower Show, the main Pavillion is filled with the exhibits entered in competition. Lush ferns, vivid flowering plants, amazing ornamentals, cut flowers, floral arrangements, fruit and vegetables vie for prizes. Teams of judges from other parishes throughout Jamaica judge the entries. 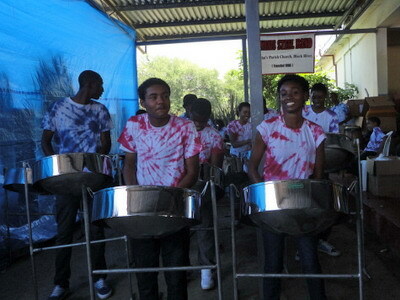 Just inside the entrance to the Pavillion, Genesis Steel Band creates a traffic jam. Patrons come inside to see the flowers, and are greeted with infectious music that seems to root them to the ground. The band plays and plays, hoping that the crowd will thin out, but this doesn't happen until they stop playing, usually out of sheer exhaustion! Outside the Pavillion are the vendors' stalls. 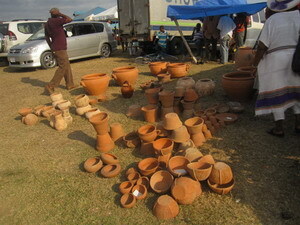 Small, colourful stalls with food and drinks, plants, pots, toys and other offerings. This is where a lot of the action (and bargaining!) takes place. There is also fun stuff for children - an Easter Bonnet Parade, and other activities like a bounce-about, ferris wheel and go carts are regular features. Drink lots of water while you're outside - as with most outdoor activities in Jamaica, it gets pretty hot! When you're tired, find some cool shady, grab a drink and a boiled corn. Denbigh Agricultural Show held in Clarendon each August. It's the biggest show of its kind in Jamaica. 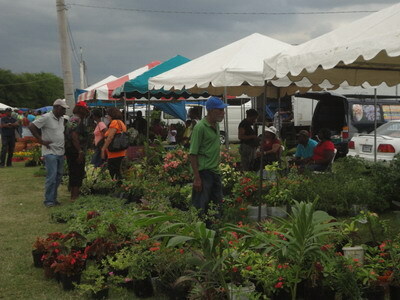 Manchester Horticultural Show in Mandeville in Labour Day weekend in May. 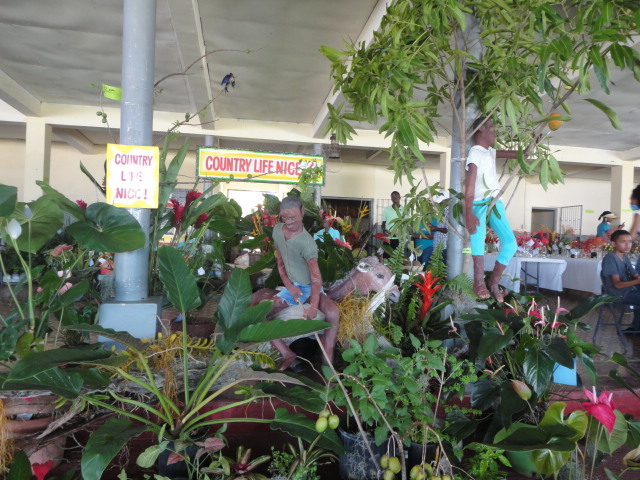 Jamaica Horticultural Society Show at Hope Gardens in Kingston each April. 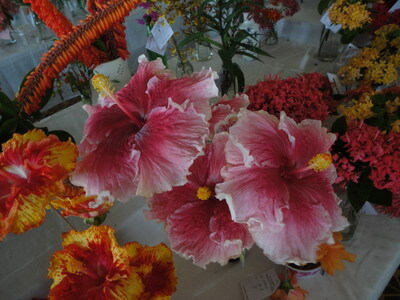 St. Elizabeth Flower Show, and Denbigh are my top picks. The next St. Elizabeth Horticultural Show will be on Easter Monday, 2016.